One of the issues with the FIRE lifestyle is that you need to give up many of the luxuries others around you are enjoying. These aren’t huge sacrifices, but it bites sometimes. Your coworkers are buying new cars while you’re driving an older car. Friends are going to Club Med and Cabo while you’re vacationing where you can drive. Everyone at the office is coming in with their venti grande mocha capalattinos, where you’re brewing at home and coming in with a thermos of Joe. By the time you’re in your forties, however, you should have some assets built up and feeling a whole lot better when layoff rumors swirl than you would have if you’d lived paycheck-to-paycheck. Hopefully, you’ll be close to getting as much income from investments as you get from your salary, leaving you in the position where you can work or not. 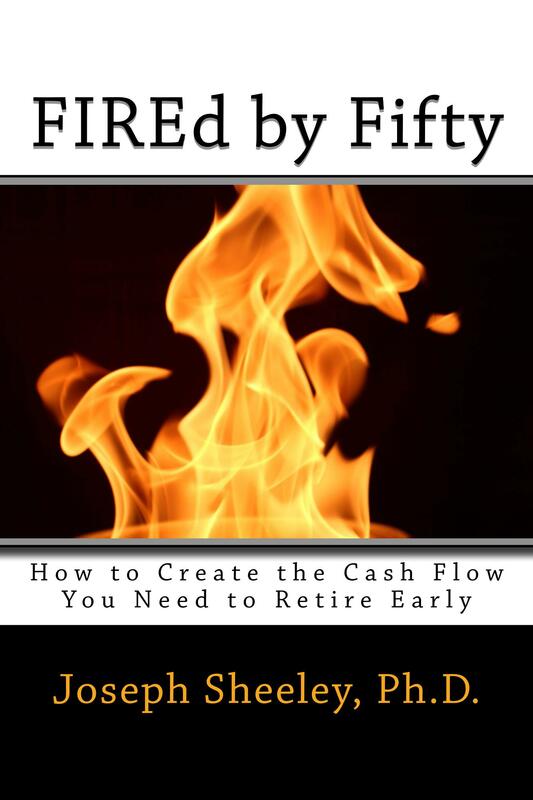 (If you want to make sure you’ll be in this position, check out my second book, FIREd By Fifty, where I show you how much you need to be saving and how to invest the money.) You’ll be in a great state of Financial Peace, as Dave Ramsey would say, knowing that you’ll have the money you need should Murphy come a-knockin’. Still, even at this point, you’ll find you have lots of money in investments, but be reluctant to spend money since you’re so used to being thrifty. Blowing $15 for some oversweetened drink in a cheap plastic cup at a resort somewhere may not seem as exciting as it seemed in your early twenties. You worked hard to have that $15 and don’t want to blow it. One thing you may consider is buying something with the money that you enjoy but that you will be able to use to generate an income or sell later for about as much as you paid for it, or more. One place we looked was condos on the beach after the 2008 home mortgage meltdown. We figured we could pick up a condo cheap, enjoy it for many years, then sell it and have our money back to put somewhere else. The trouble we found was that buying a condo became a burden. You think you’ll get this great place you can visit all the time, then rent it out the months you’re not there. But then you start to look into the specifics and discover it just becomes a huge burden and that the returns you get really aren’t that good. 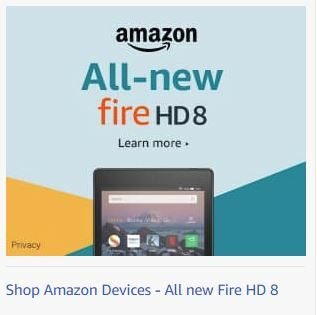 We first found that there really weren’t any deals. Despite stories of condos sitting half-built all along the coast, we found nothing really exciting on the cheap. If there were deals to be had, we weren’t finding them. The next thing we found is that most of the money was made by other people. Unless you lived local and wanted a hobby, you would need to contract out the rental and maintenance of the place. You were also subject to random assessments, where the HOA decided the lobby needed to be redone and everyone would get hit with a big bill. You would find that in the end that you’d get what was essentially a free place to stay for a week or two per year, but that was about it. This would be fine if you’d get to go to the property whenever you wanted, but because you’d get the best rents during the best times of year, you’d probably end up going offseason. My boss had a condo at the beach. I remember a few Thanksgivings where he was at the condo painting or doing some other maintenance. This was not exactly beach weather and it turned his vacation into a work vacation. Renting to people also carries insurance costs. You’d need to carry insurance, both to protect the place and to protect you should a renter hurt themselves in your place. Finally, you’d need to worry whenever a hurricane blew in the Gulf, which happens for half of the year. No, it seemed a lot better to rent a place when we wanted to go than to take on all the issues involved in owning a vacation home, then be stuck going offseason or hardly using the place at all. It didn’t seem worth the hassle. We enjoy camping , but one issue we have is that most campgrounds pile people on top of each other. This is particularly bad for tent campers where you have a thin piece of cloth between you and your neighbor. Nothing like lying up all night listening to your neighbor’s generator or being woken up when they drive in late at night. Some campgrounds do have tent sites, but stack them even closer together than the trailer sites and/or just give a piece of dirt with no extras like a picnic bench or water access. In addition, many places are starting to charge $24 or more per night for a site. This is about a third of the way to a hotel room. We camped near a beach one time and paid $120 per night! For most luxuries, it is better to rent them when you need them than it is to own. You can rent a condo on the beach or a cabin in the mountains. You can rent a boat or an RV. One thing you can’t rent is a large tract of land for camping with lots of privacy. That’s where we decided to put some of our money. We found 5 acres with trees and hills that we bought and are using as our own private campground. We bought a large plastic chest designed for outdoor use where we store some chairs, lanterns, cooking utensils, and other camping supplies so we don’t need to pack them in each time. We bought a box that will lock, but the stuff inside is unlikely to be stolen, plus the site is remote, so we haven’t had any issues so far. Thus far we’ve set up a fire pit and a 1/4 mile of nature trails. This particular lot is actually in a small community on a lake where all if the lots are 5 acres. Many of the lots border the lake and have a lake view, but this one is set at the back of the subdivision and only includes woods. Still, we are about half a mile from a community beach and have a slip in a boat dock the community owns. We use the dock for swimming and have a couple of kayaks in our slip. We could get a boat, but they seem like such a pain to take care of and our weekends are so busy that I’m afraid we’d just lose the couple of free weekends we have to boat maintenance and cleaning if we got one. We can always rent one for about $100 per day whenever the desire strikes. We’ve lucked out so far in that the neighboring wooded lots are fully undeveloped and unused. This makes it feel like we have 20 acres instead of just 5 when we’re back at our camping spot in the trees. The family right next to us just bought the lot because they wanted to get a slip in the boat dock, so they’re unlikely to build. Even if they did, the house would likely be at the front of the lot, far from our campsite. The one behind us is part of a large farm, so at the most we’ll see cows in the trees once in a while, which kind of add to the experience. We chose a place close by – about 20 minutes from our home – so that we can get to it quickly. This allows us to enjoy the place more rather than having a place that would take a few hours to visit and therefore require a full weekend to use. Sometimes we just go to hang out at the property even if we aren’t camping. We’ve also hosted a local scout troop for a camp-out on the property. They actually gathered the rocks for the fire pit while they were there. Having land all to yourself is a unique asset that you can only find if you own it since it can’t be found for rent. One thing that is kind of fun is just putting together the campsite and adding amenities to the land. We just started with trees, leaves, rocks, and logs, without any roads or even real trails into the place. (Luckily, the trees are mature enough that it isn’t too hard to make your way through, especially in the winter when the grape vines have died back.) We’re planning first to build a picnic bench and put in a lantern stand so that we’ll have a place to sit and have meals. I also expect some card games to be played at that table into the evening by lantern light. The site has no bathroom besides the great outdoors, so we’re going to dig a small pit latrine. We’ve done this before for short weekend camp-outs, but this time will make it a little more substantial with some plywood over the pit and a portable camping toilet. 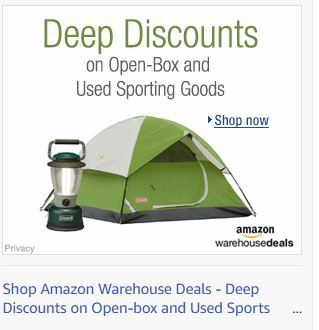 We’ll probably use a camping shower tent that we just put up when we’re there and then take down when we leave as a shelter at first, but may build a more substantial outhouse with time, Because we’re not there much, a small pit just a foot or two deep and maybe a couple of feet wide should last a long time. We’ll just a small shovel inside and add a little dirt tot he pit after each use to keep the smell down and aid decomposition. Past experience has shown that this works well. We could also add a vent pipe, which helps both prevent both odors and flies. Another thing we’re doing is slowly building trails. We’ve discovered that this can be done with a leaf rake, hoe, spade, some spray paint to mark the trail on the trees, a saw to cut branches, and a bit of time. It makes you appreciate all of the time and effort that went into the long trails you find in state parks and nature areas. It is really neat to design a trail that follows the land contours, taking advantage of natural slopes and shelves to wind down a hill. It is also strange to look at the place after the trail is built and try to remember what it looked like before you started. I can’t imagine being able to do this if we didn’t have land to use. Water is a real issue, including drinking water and just water to use to douse a fire or wash dirt from your hand. We’re too far away to use the lake and there are no steady streams on the property, so we’re planning to build a cistern system. Basically, this is just a rain barrel with water directed into it from a large surface when it rains. We’ll only need about 10 to 20 gallons for a weekend campout so it won’t need to be huge. I’ve found that we can collect about 60 gallons of water from a 1″ rain with about 80 square feet of collection area. Since most systems use a building roof as a collection system and we don’t have a building, we’ll probably either build a collection system using roofing materials or build a small shelter over our picnic table. This would have the advantage of having a place where we can hide when it rains. Another option would be to build a covered kitchen area or just a place where we can store firewood or other things underneath that we want to keep fairly dry. We could use the water as-is for hand washing or cooking (if it is boiled sufficiently). For drinking, we can use a camping filter to purify the water, or add a few drops of bleach to the barrel when we arrive. For raw water that can be used for dousing a fire, we’ll build a small pond that will be filled when it rains. That should only require we put a liner in a sinkhole nearby so that the rain collects rather than disappearing into the soil. We’ll add some fish to keep the mosquitos down and for beautification. We should be able to build a 100 to 200-gallon pond for about $20. It may become a favorite spot for the deer and forest animals, so we’ll probably locate it a short walk outside fo camp rather than in the midst. The land value should at least keep pace with inflation, so really all we are losing is interest/income that we could have earned if we had kept the money invested in stocks or bought rental properties instead of buying the land. If the area increases in value for some reason, such as land near the lake becomes more coveted as lake lots are no longer available or the area simply starts to grow and develop, we’ll do better than inflation. As they say, real estate is all local and all location, so whether or not you beat inflation depends on what happens with the local market. The boat dock has resulted in a little more expense. Last winter, one of the cables came loose, causing the dock to move against the shore in a wind storm. We had to pay our share of the cost to have the dock moved back and reanchored, which ran about $400. Hopefully, that sort of thing won’t happen again. The dock is nice for swimming and fishing, however, so at least we do get some use out of it. I really wish we were able to rent out our slip since we could probably get $400 per month for it from Spring through summer and fall, or about $2000 per year, which would pay for our property taxes and other expenses, leaving us with a little profit. Unfortunately, the home owner’s association rules don’t allow it. Maybe in the future. One of the nicest things about a piece of vacant land is that if you’re busy and don’t have time, it will generally take care of itself. It isn’t like a boat or vacation home where you need to be constantly doing maintenance or it will sink or degrade. There is some maintenance for the improvements that we’re making, obviously. We need to rake the trail in the fall, which takes a couple of hours, but that is actually a good excuse to get outside and enjoy the property. In the future, we might get a gas leaf blower to make this easier, especially if we buy adjacent tracks of land and add trails, but for now, it is very manageable with a leaf rake, plus it is good exercise. Once we add picnic benches, a water collection system, and a latrine, they will take a little maintenance, but it shouldn’t be much. Maybe just a bit of paint or stain every few years to help protect things from the elements. One thing about nature is that it is constantly battling to destroy whatever things people create. So, if you’re looking for a way to use a little bit of your wealth to enjoy without actually spending it, buying a piece of property that you can enjoy without substantial development is a good option. While it is nice to see your assets growing in a mutual fund account, sometimes you need something you can touch. 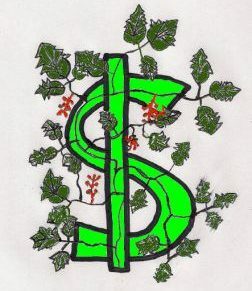 If you have investing questions, please send to vtsioriginal@yahoo.com or leave in a comment. Previous His Money, Her Money. Whose 401k is it Anyway? I’m hoping we never get to that point. Thanks for reading.